J.K. Rowling’s latest tome isn’t a book about a young wizard but instead about the political machinations of a small British town. Doing her best to channel contemporary British author Zadie Smith (a great choice of a writer to emulate), Rowling’s novel tackles class, race, and ethics in this small community of characters. 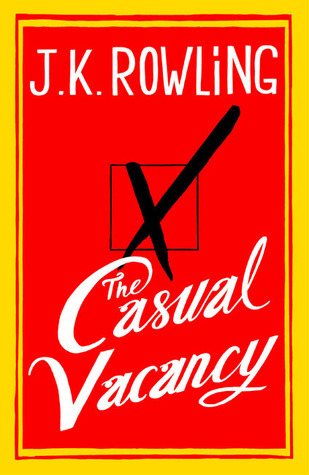 Despite her efforts to make The Casual Vacancy an adult book (which it certainly is), it is the group of adolescents that provide not only the backbone for the story but also the more compelling characters in the story. When beloved Barry Fairbrother dies, a casual vacancy is left open on the parish council. As the citizens of Pagford scramble to find a replacement, a malicious campaign for the vacancy ensues. And as The_Ghost_of_Barry_Fairbrother mysteriously begins posting rumors on the council website, some of these characters’ darkest secrets are exposed. The sheer number of characters in this novel makes starting the story feel almost exhausting. Being in such a small town, they are all linked to each other, which makes it both difficult to grasp at first but also easier to keep track of them all later in the story. Fortunately, unlike other long novels, Rowling starts advancing the story early, making it much easier to get engrossed in this sprawling novel. She has also populated Pagford with engaging characters whose eccentricities build up to a terrific boiling point. While at times Rowling’s intricately detailed story may feel exhausting, it becomes clear she knows exactly where the story is headed, effortlessly leading you to the climax. She’s able to weave her complex story through various character perspectives that jump not only through each chapter but sometimes within the chapters themselves (sometimes requiring a very close reading as she jumps around a large gathering). All of this works in your favor as you reach the very rewarding ending. 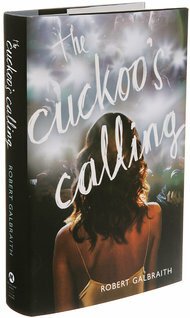 I’m hopeful that Rowling will continue to write these adult-oriented novels as she continues to develop her writing voice (a few of the techniques she uses throughout the novel prove that she has a lot to offer). I’m also hopeful that the upcoming BBC miniseries adaptation will prove to be an equally complex and engaging story, bringing to life these great characters.